But why should you bother to buy and use these products? Because they’ll potentially save you a ton of time. Both Dynamik Web Site Buider and Genesis Extender share Front-End CSS Builder tools that can enable you to build CSS using UI tools and see the changes applied to your layout in real time. The resulting CSS is then minimized and saved to a file so it loads fast. Both also have powerfull PHP building tools including the ability to create most Genesis hook and filter calls, build custom widget areas as well as WordPress and page templates and much more. Dynamik Web Site Buider also adds a ton of visual design options to help you build your Web site layout, colors and typography without touching code of you don’t want to. You can then export all these visual and other settings (custom CSS, PHP code and other options) as either reusable “skins” or as a standalone separate child theme (if you don’t want clients to tweak any of the options later for example). You know if you’ve read this blog before than I’m usually not a huge fan of visual options but, in Dynamik’s case, they are the right options done right. They are also the most complete I have seen, much more so than the Canvas visual options which I reviewed yesterday. All these visual options are in addition to all the other development tools in the child theme. 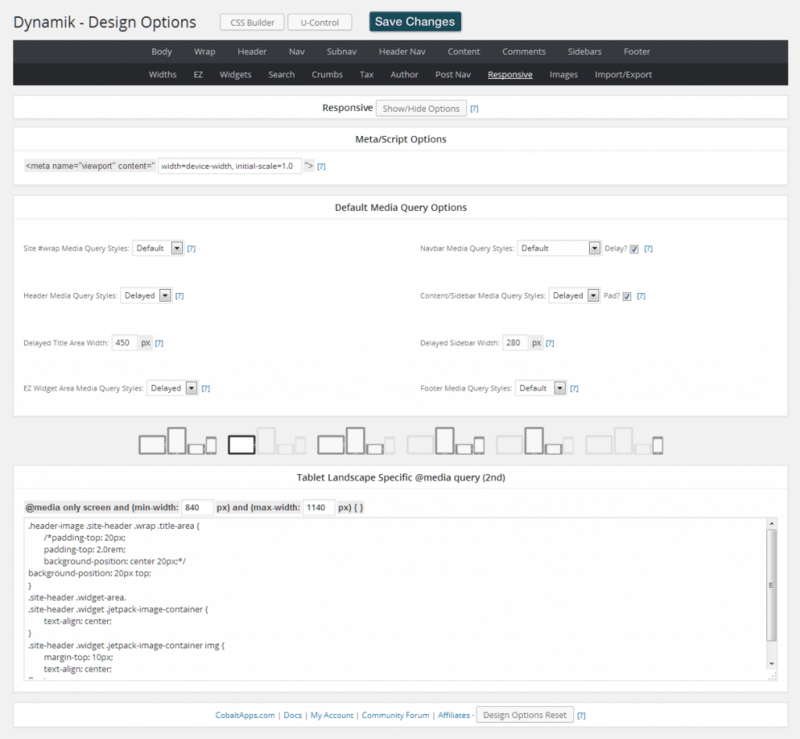 Dynamik really is a complete site building tool with the right options and none of the drag and drop overhead and BS. It is both beginner and professional friendly and will grow with you. This very site as well as my business and several client sites are built with Dynamik. Since it leverages Genesis, it’s a very stable platform to build on WordPress. Full reviews of both Dynamik Web Site Buider and the Genesis Extender plugin will be coming soon but, in the meantime, I highly recommend you take the opportunity of buying them under the old pricing model. A special license key will then be issued to you so you keep getting updates for life once the new pricing is in place. You should also know that I’m an affiliate of CobaltApps so I will make a little money off of your purchase but I truly stand behind these products and would not recommend them if I didn’t believe in them. Thank you!